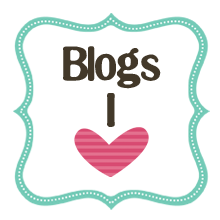 These are my top 5 go to blogs! Hayley is super lovely, I love her blog and find her so easy to approach some bloggers give me the impression they wouldn't give me the time of day but Hayley has never come across that way and takes the time to leave me a comment or two on my posts. I find myself hunting on her blog for a new post so much that if the internet could hand out restraining orders I'd have been hit with one by now. Another blog I find myself stalking for a new post near on everyday in case I missed an update on her gorgeous little lady, her pregnancy, crafts post or a haul. My day wouldn't be complete without heading over to Michelle's blog. Be sure to head over to these lovely ladies blogs, I promise you won't be disappointed each blog is run by truly wonderful ladies!